nimbu paani recipe | fresh lime juice recipe | nimkbu or limbu sharbat with detailed photo and video recipe. 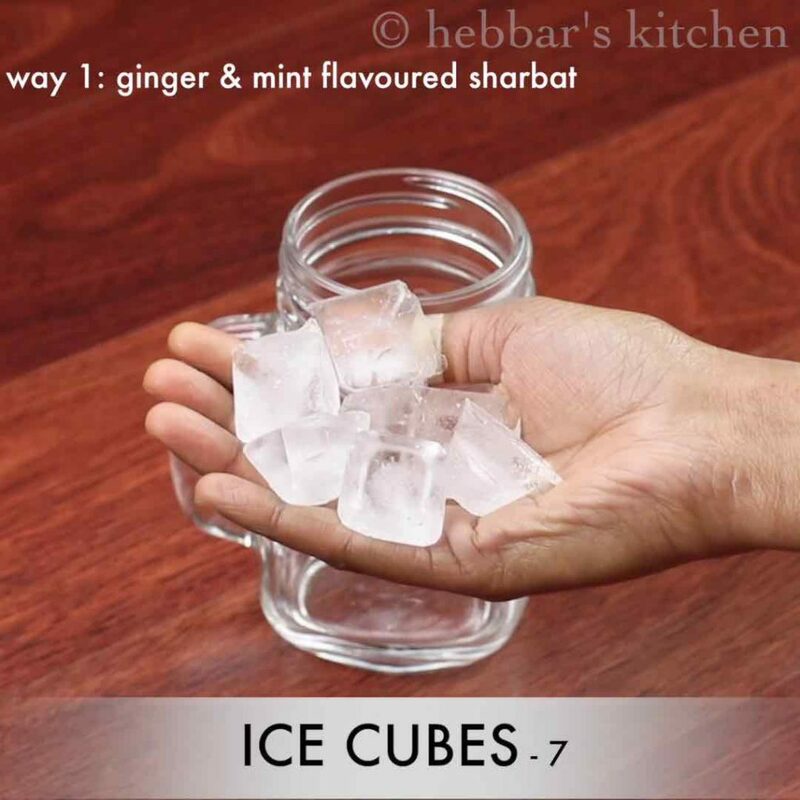 a traditional, refreshing beverage or drink which is perfect for long day or during summer. 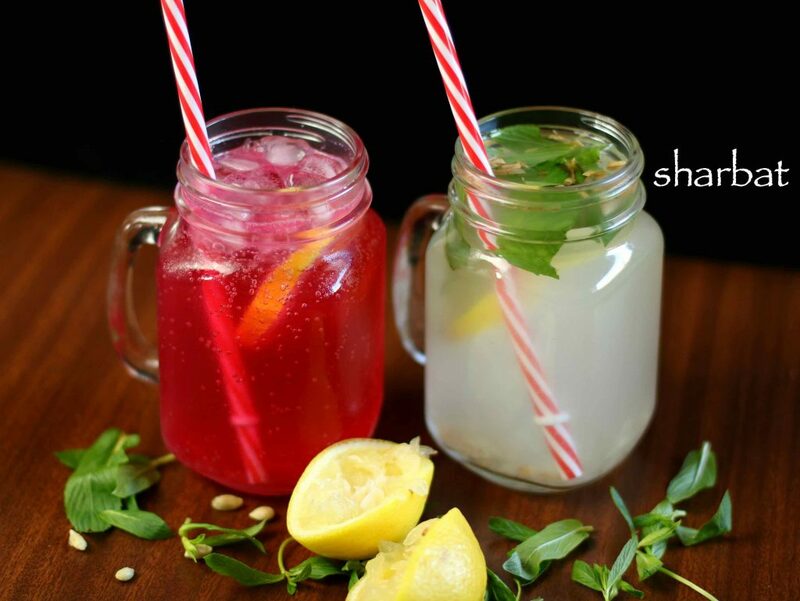 it can be flavoured and prepared with various variety, however this recipe describes mint and ginger nimbu pani and rose flavoured nimbu sharbat. 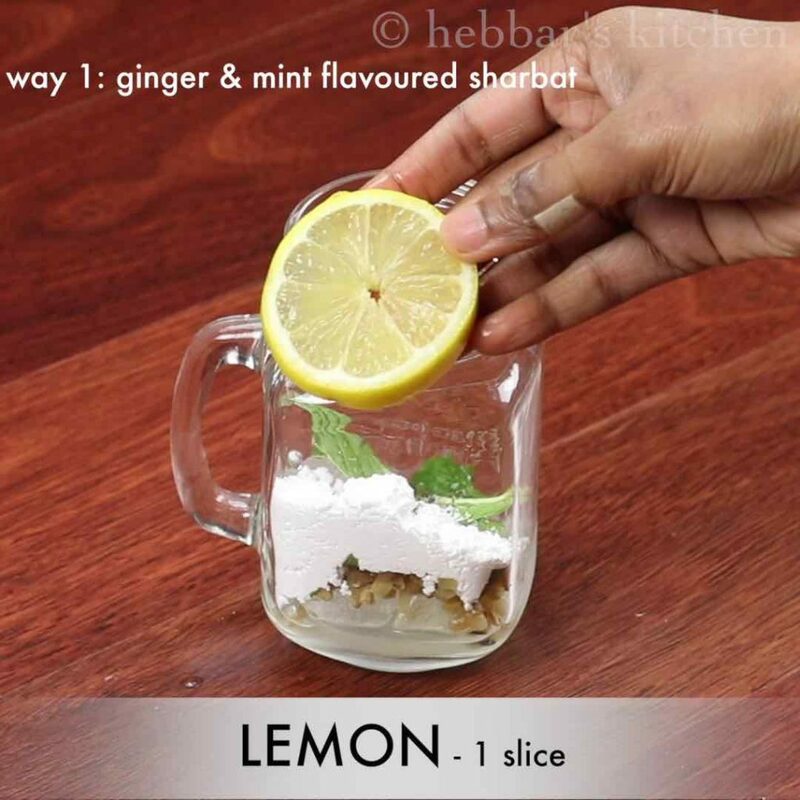 nimbu paani recipe | fresh lime juice recipe | nimkbu or limbu sharbat with step by step photo and video recipe. 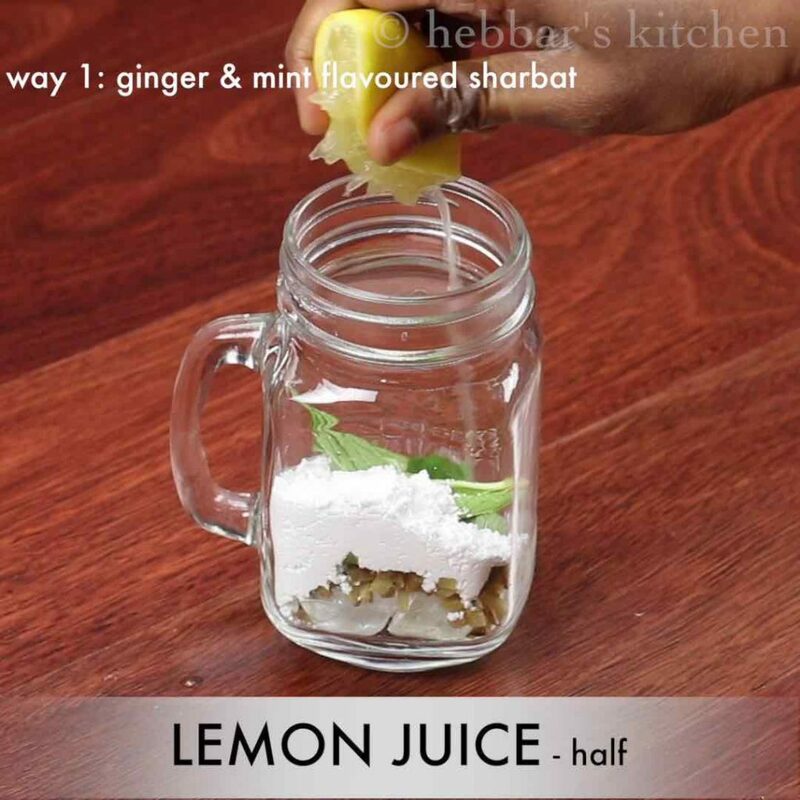 nimbu sharbat is a popular simple drink especially during summer and typically served to tiring guest whenever they arrive. it is served especially to rehydrate and to refresh as it contains the perfect balance of glucose and vitamins. 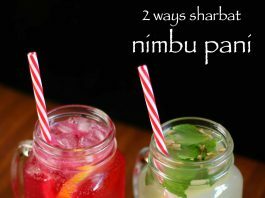 usually each region has its own variety of nimbu pani, but in this post lets learn 2 ways of limbu sharbat. 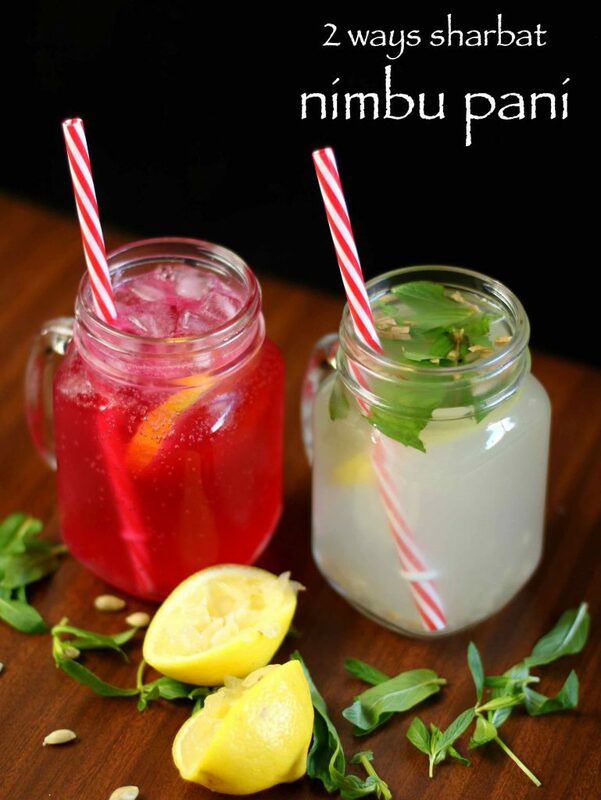 it is almost the end of summer and i should have shared the nimbu paani recipe much earlier. however i totally missed this simple and easy beverage recipe, yet so refreshing drink. i typically prepare this recipe with sugar syrup however in this recipe i have used powder sugar. sugar syrup is a better option as it easily dissolves with lemon and water without much effort. 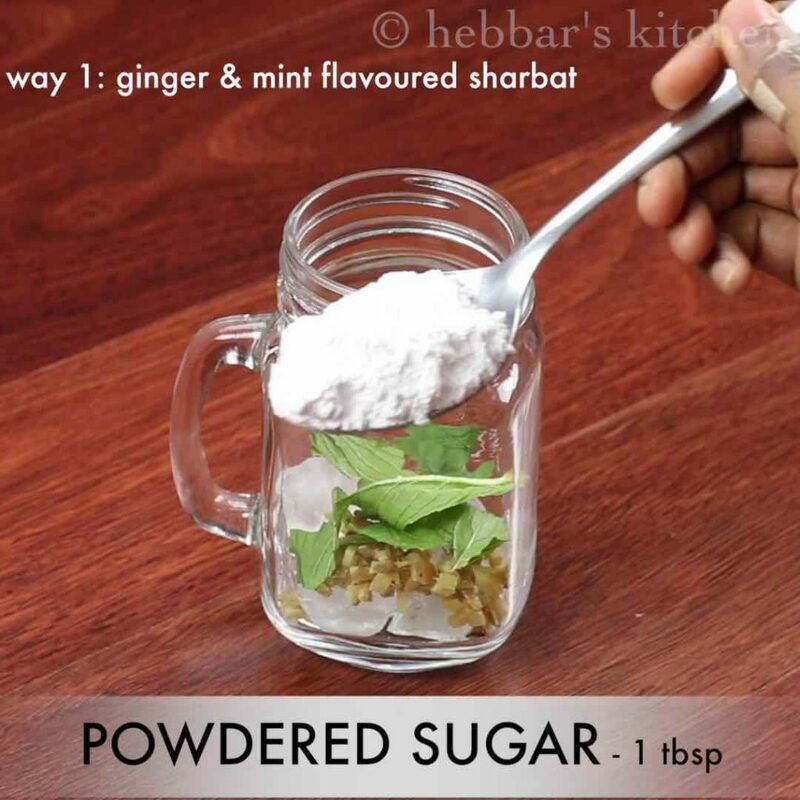 further, i even add mint and ginger while preparing the sugar syrup so that flavour of mint and ginger is infused to nimbu sharbat. furthermore, some important and useful tips while preparing fresh lime juice recipe. 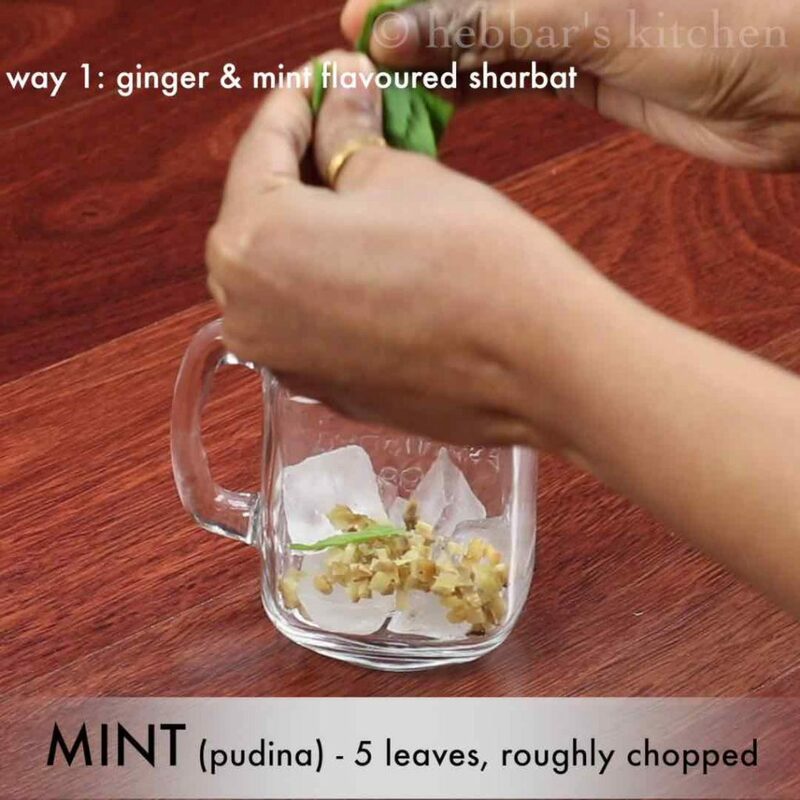 firstly, i have used plain cold water for the mint and ginger nimbu sharbat. alternatively you can use carbonated water or soda to make fresh lime soda recipe. 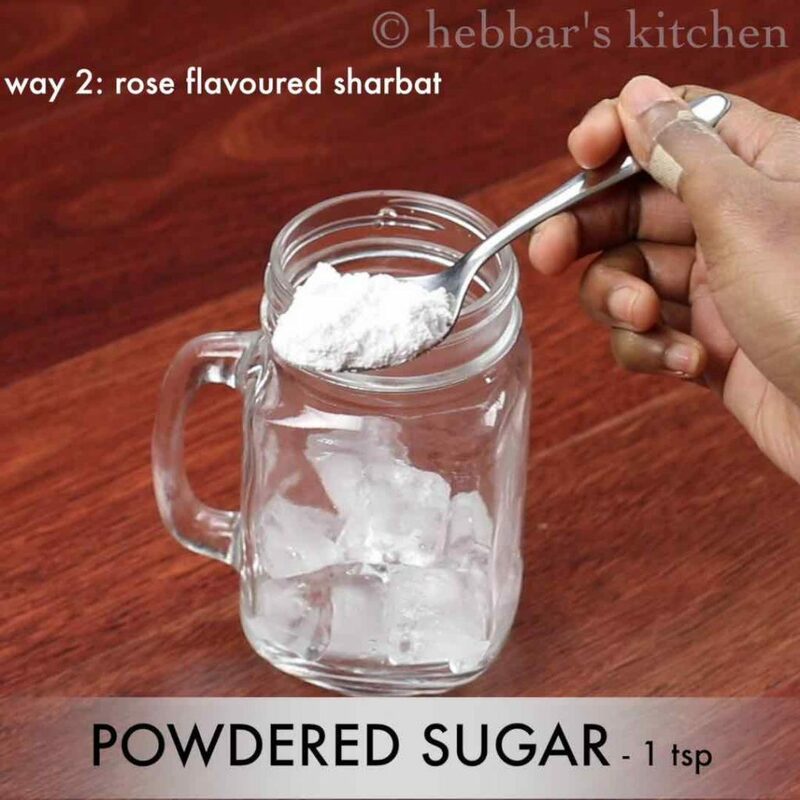 secondly, if you are preparing rose syrup nimbu paani, add less sugar as rose syrup or rooh afza may already have the sugar content. lastly, you can also add roasted cumin powder mint and ginger nimbu paani to prepare shikanji or shikanjvi recipe. 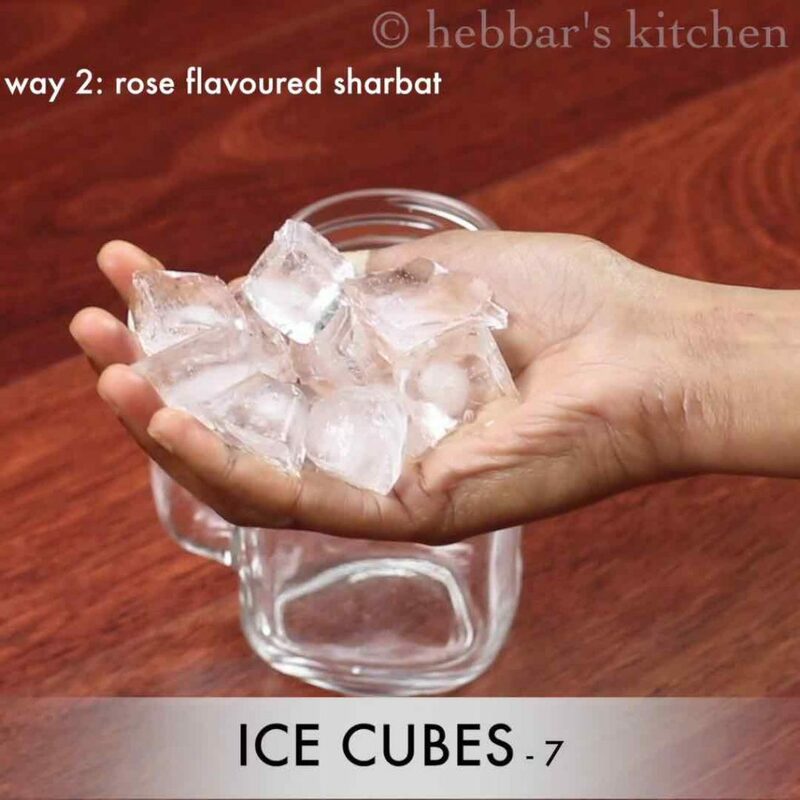 firstly, take 7 ice cubes in a jar. further add 1 inch crushed ginger and 5 chopped mint / pudina leaves. also add in 1 tbsp powdered sugar. squeeze in ½ lemon juice. add salt to taste, ¼ tsp crushed pepper and 1 slice lemon. 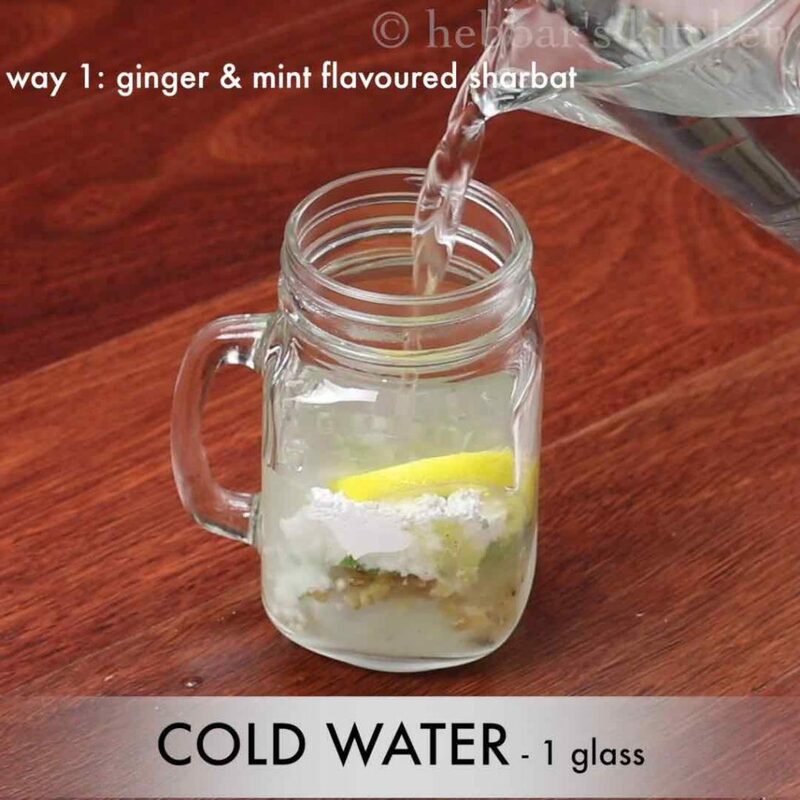 pour in 1 glass cold water and mix well. 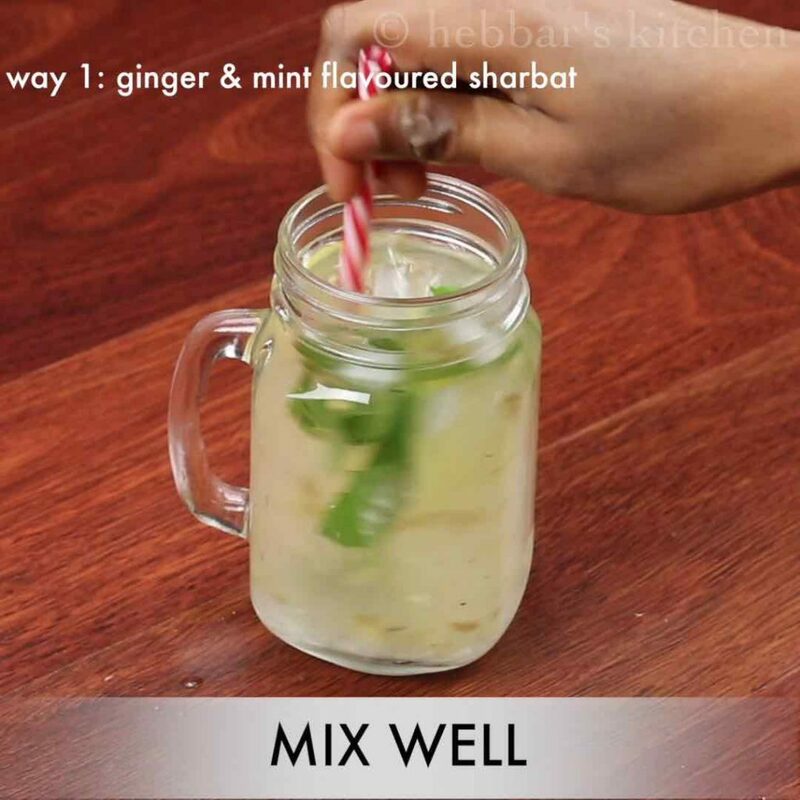 finally mix well and ginger-mint lemon sharbat is ready to serve. also add in 1 tsp powdered sugar. 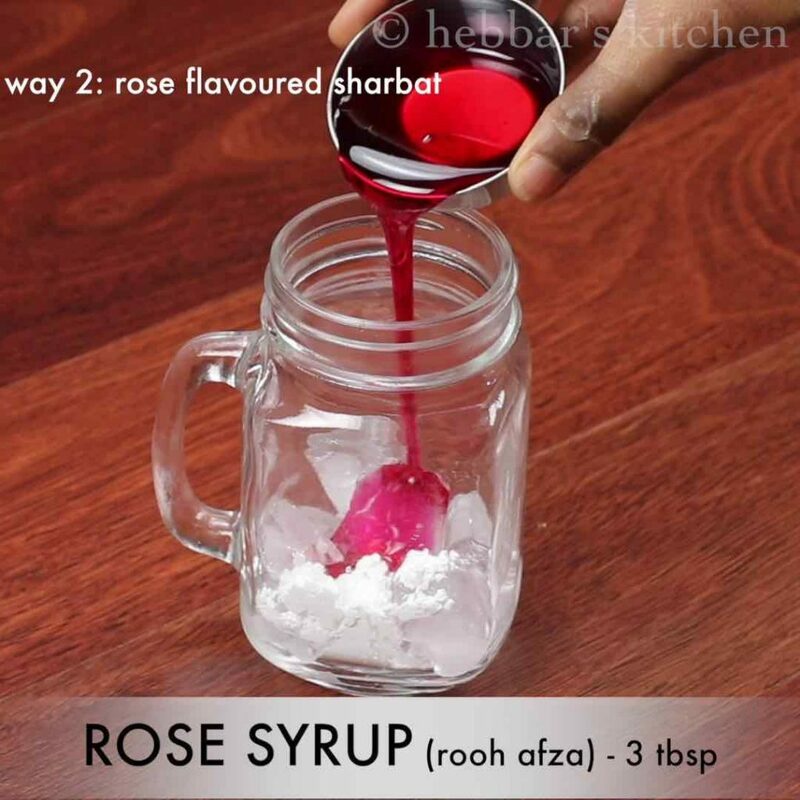 and add 3 tbsp rose syrup / rooh afza. squeeze in ½ lemon juice and add a slice of lemon. 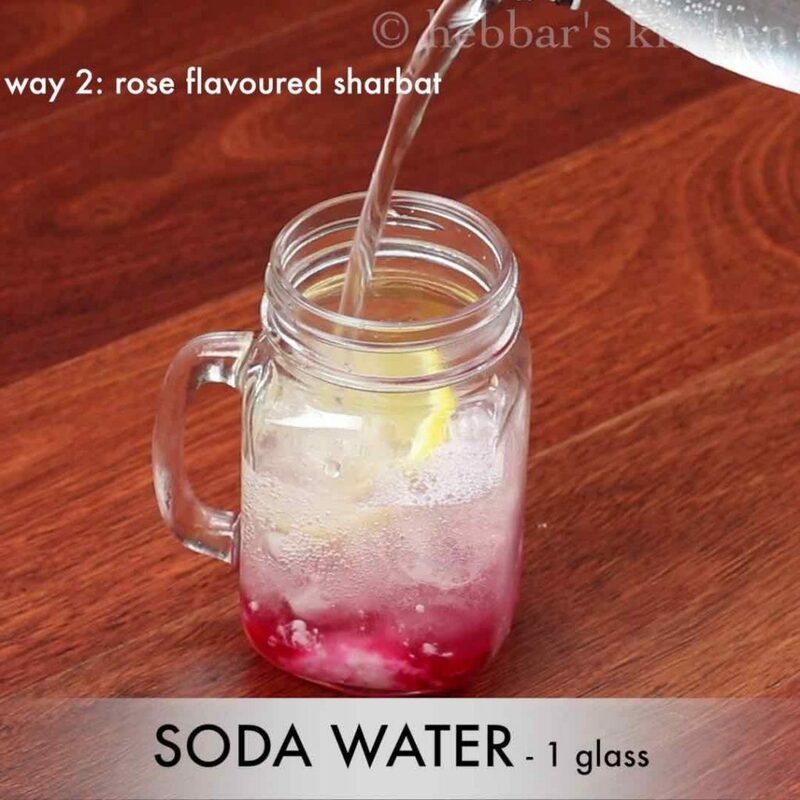 pour in 1 glass cold soda water and mix well. 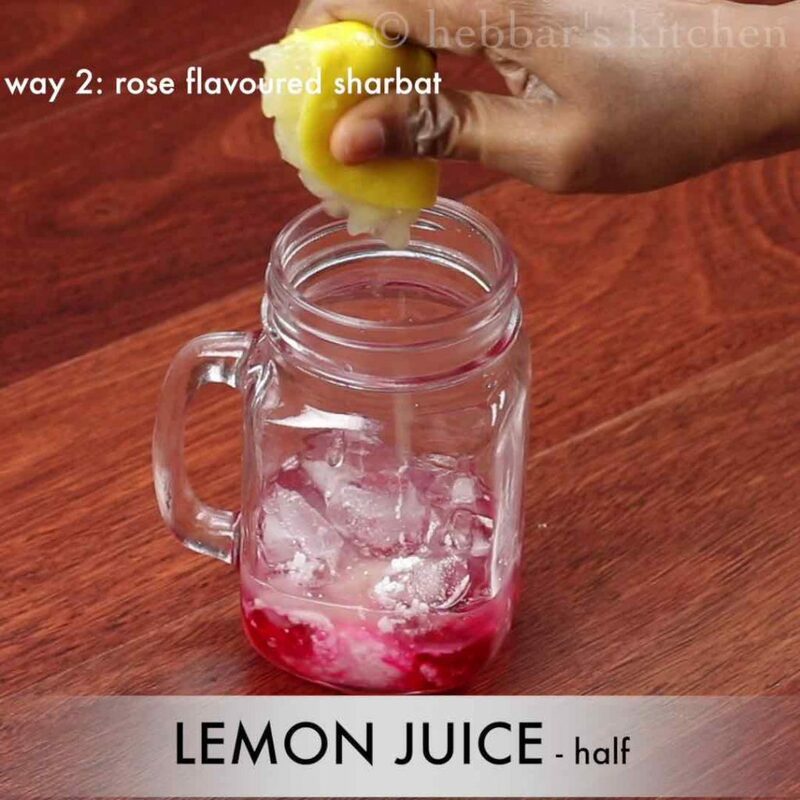 finally mix well and rose flavoured lemon sharbat is ready to serve. firstly, use cold water or soda water to refresh. also add more sugar to adjust your sweetness. additionally, add cucumber slices for more refreshing drink. finally, serve lemon juice or nimbu paani chilled.